Get back to nature and journey through Africa’s Eden, enjoying the simplicity of our new ride in the Okavango Delta. With no vehicles involved, and working in partnership with the local community, we can guarantee a genuinely environmentally-friendly safari. 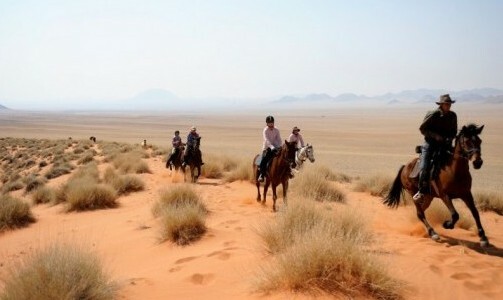 Enjoy spellbinding scenery, exciting riding and spectacular game viewing, without worrying about your carbon footprint. Stripping back to the bare beauty of fly-camp safaris, means that you will truly embrace Africa’s wilderness, and enjoy the exclusivity of a private, personalised camp set far out in the bush. From Maun Airport it is only a 30 minute drive to the southern end of the Okavango where the safari begins at the so-called “buffalo fence”. Here, the patient horses are waiting for you. 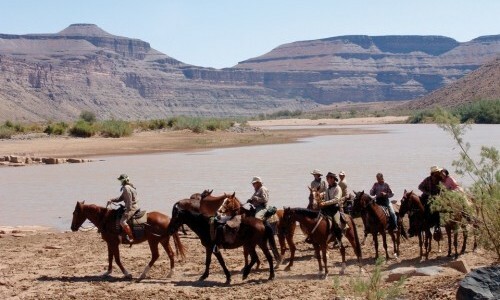 After the luggage has been loaded onto mekoros (small canoes) to be transported to camp, you will mount up and venture out on horseback for your first experience of the Delta. 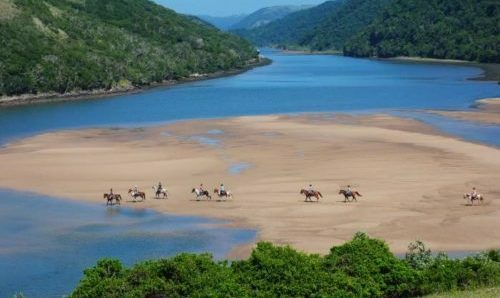 Exploring this water wilderness on horseback is absolutely exhilarating, and each wildlife encounter will fill you with awe. 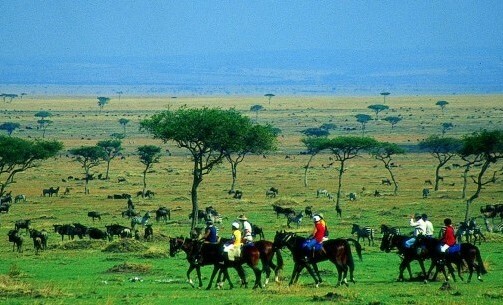 In the saddle and high above the tall grasses, game viewing is exceptional; you can see giraffe, elephant, buffalo, zebra, many species of antelope and sometimes even hyena, lion or wild dog. The Delta is also renowned for some of the best bird watching in the world so make sure you bring your binoculars. 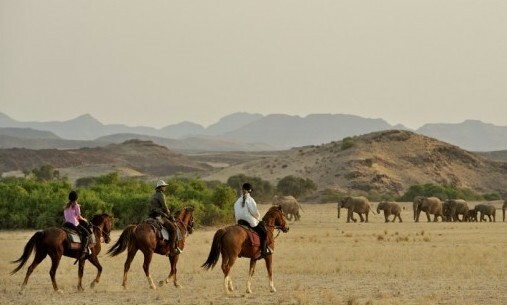 You will be ticking off bucket-list moments left, right and centre as you come across your first elephant, enjoy a water canter, or watch the sun go down over the horizon without another soul in sight. The Okavango Delta is one of Africa’s unique treasures and is one of the most important and beautiful wildlife sanctuaries on the continent; often referred to as Africa’s ‘Eden’. The Delta experiences seasonal flooding with an influx of water from Angola, this influx reaches the Delta between March and June, peaking in July. The peak flooding coincides with Botswana’s dry season creating a safe haven and acting as a magnet for a huge variety of birds and mammals that migrate from the dry outskirts. 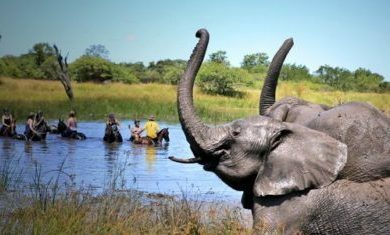 A constant and reliable source of water all year round makes the Okavango Delta an ideal safari destination at any time of the year. There is no set itinerary, with the location of the camp dependent on water levels, wildlife movements and the length of the safari (the longer the safari the more likely the camp is to move). Every location is exquisite, nestled on a shady tree-lined island without another soul insight. A Typical Day: Wake up on a beautiful African morning, to the sound of the dawn chorus. Enjoy a light breakfast around the camp fire as dawn breaks. 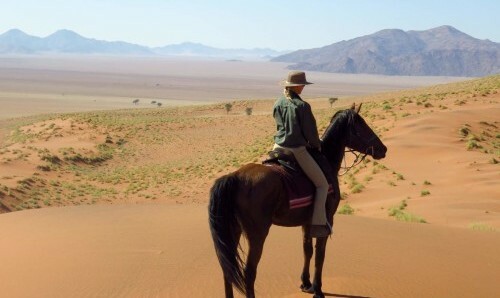 The morning will be spent on horseback, following ancient elephant trails, searching for a variety of wildlife. Spotting for the prolific birdlife, and cantering through the recently flooded plains. Herds of buffalo might be found grazing, lone male elephants browsing, giraffe sauntering by and red lechwe splash through the water, while the nervous kudu peer out from the thicker bush. Return to camp for lunch and siesta in the dense shade of the giant jackalberry or leadwood trees. 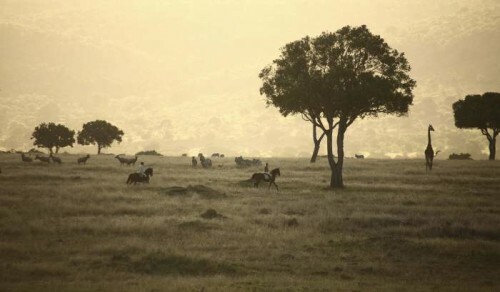 In the afternoons, head out on a gentle evening ride, absorbing the Delta's magic and listening to the sounds of the bush and the snorting and splashing of the horses. Enjoy Africa's 'golden hour' where the wonderful afternoon light sets the landscape alight with beautiful colours. Return to camp for a delicious alfresco dinner under the stars. Occasionally guests (and horses) may need to rest, which is the perfect opportunity for a tranquil ride in a mekoro, the traditional way of traversing the glittering, lily-lined lagoons and waterways. It is a chance too, to venture out on foot to appreciate the smaller creatures that inhabit the bush – or to learn some rudimentary tracking skills. 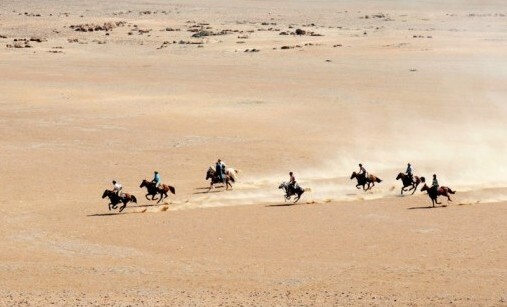 No two days are the same and every day is a different adventure out across a new and intriguing landscape. Private tents are available on request and don’t always require a single supplement. Rather than a permanent riding camp, a lightweight mobile camp is transported by a flotilla of mekoros (traditional dugout canoes) poled by members of the local community, into the Delta. 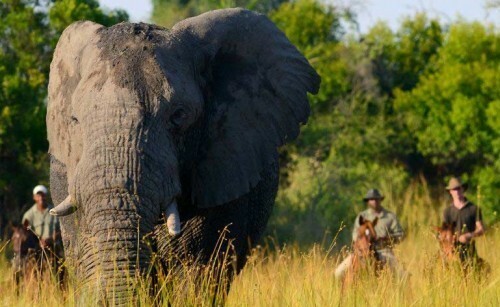 The emphasis is on the experience, the beauty of the Okavango and top level guiding. Enjoy food cooked over an open fire. The camp is extremely comfortable, with guests in lightweight tents with standing room, stretcher beds and full linen made up bed rolls. There will be one bucket shower and one short drop toilet per 4 guests.